Installing TWRP recovery on the HTC Desire C smartphone is just one of the custom recovery options out there for Android operating systems. Since a stock recovery is only useful for applying updates, factory resetting and wiping the cache partition, some third-party developers made additional recoveries that we call custom recovery. A custom recovery like TWRP recovery has many advantages over the stock recovery; one of those advantages is flashing zip files. Installing zip files from a custom recovery is how you install a custom ROM most of the time and that’s why that feature is so useful. Of course, installing custom ROMs isn’t the only reason you might want a custom recovery. Another reason is you might want to take a NANDroid backup. With NANDroid backups, you can take a snapshot of the ROM completely and save everything. The only thing that comes close to that also requires root access and it’s called the Titanium Backup application. You’ll find that one available from the Google Play Store under the same name. The following guide should only be followed if you have the HTC Desire C smartphone. As you probably know, HTC make many different devices all with different names and model numbers. 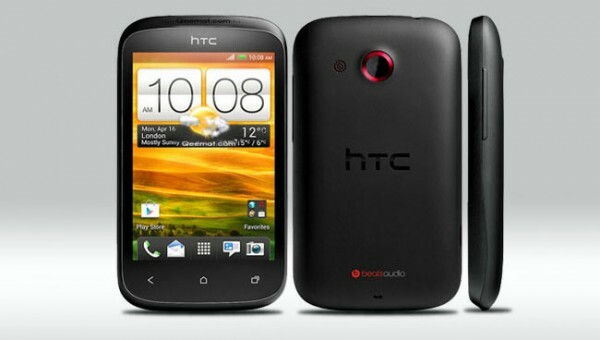 You can follow the guide on any HTC Desire C as long as it is the C variant and no other. If you don’t follow those instructions, you will brick the device. Download the HTC USB Drivers  for your computer. Once the drivers are installed you can connect the HTC smartphone to the computer with no trouble. Those of you not finding the guide working can reboot the Windows computer and try again. By applying the steps in the guide below you are agreeing to void the manufacturer’s warranty. You may unroot the device at a later date and get that warranty working again. The warranty will only continue to work for as long as your agreement date. You need to use a Windows PC to follow the guide. You need to install ADB and our guide does that using Windows. Download the file and move it over to the desktop of the computer. Right-click the file and select the option to extract it here. Right-click over the .img file and change the name to recovery.img. Download ADB from reading this guide . You don’t need to download it again if you already have it. You must have ADB on the computer before proceeding. Hold down the Shift key and right-click the mouse on the desktop to bring up a new menu. Choose to ‘open the new command window here’ from that menu. Type the command: “adb reboot bootloader” and press enter. Now type “fastboot devices” and press enter. To finish, type: “fastboot flash recovery recovery.img” and it will install the custom recovery on your device. Now that you have finished installing TWRP recovery on the Desire C smartphone, you can learn how to root the HTC Desire C smartphone .